Philosophy is the study of general and fundamental problems, such as those connected with existence, knowledge, values, reason, mind, and language etc. It is a basic problem of defining philosophy, its methods and the problems etc. Many interpretations we can find in Indian and Western tradition regarding the nature of philosophy. 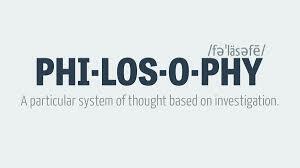 Philosophy is a fascinating subject which is personally relevant to every intelligent human being. There are some characteristics of a philosophical attitude which made difference in regard to the intellectual discipline of philosophy. The philosophical attitude includes a sense of wonder, doubting, criticism, reflection, universality, tolerance, preference to experience and reason. Philosophy affects the life of a philosopher, it also effects his social life and also effect the civilisation and culture. Aristotle said long ago, “All human beings by nature desire to understand.” We are curious if nothing else, and it is one of the more admirable traits of human beings. We like to know what is going on and why. After we have fed ourselves and put a roof over our heads, and attended to other basic needs, the question arises what we are to do with our time. One suggestion is that we should raise our heads a bit and look around us and try to understand ourselves and things around us. This turns out to be interesting. It is the genesis of both science and philosophy, with science taking the more empirical road to understanding and philosophy the more conceptual. These are complementary enterprises and there have always been important connections between them which continue despite the growth of institutional science and its increasing splintering into more and more highly specialized sub-disciplines. There are three common ways of introducing philosophy to people. One way is to focus on the ancient Greek thinkers who founded western philosophy, especially Socrates, Plato, and Aristotle etc. Second approach is to give a survey of the history of philosophy to students. 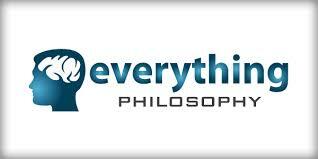 The third and most popular way to teach philosophy is the “problems” approach which includes identifying, explaining and attempting to solve philosophical problems like, God, Reality, Freedom , Truth, Mind and more. 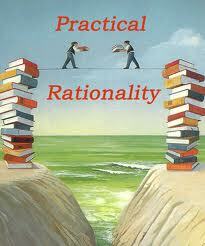 It is an attempt here to familiarise students with some of the most basic problems in philosophy. The term Indian philosophy (Sanskrit: Darshanas), may refer to any of several traditions of philosophical thought that originated in the Indian subcontinent, including Hindu philosophy, Buddhist philosophy, and Jain philosophy. Having the same or rather intertwined origins, all of these philosophies have a common underlying theme of Dharma, and similarly attempt to explain the attainment of emancipation. Darśana ( Sanskrit: दर्शन) is a term meaning “sight” (in the sense of an instance of seeing or beholding; from a root dṛś “to see”), vision, apparition, or glimpse. It is most commonly used for “visions of the divine,” e.g., of a god or a very holy person or artifact. Indian Philosophy have been formalized and promulgated chiefly between 1000 BC to a few centuries AD, with residual commentaries and reformations continuing up to as late as the 20th century by Sri Aurobindo and other philosophers. Richard E. Creel, Thinking Philosophically: An Introduction to Critical Reflection and Rational Dialogue, Wiley-Blackwell, 2001. BA First Year (Notes), Philosophy, Paper-I, USOL, Panjab University Chandigarh. Philosophy as an intellectual activity can be variously defined, depending on whether the emphasis is placed on its method, its subject-matter or its purpose. The very first question is of much importance to define and discuss the nature of philosophy. This inquiry into the nature of philosophy is called “meta-philosophy”. 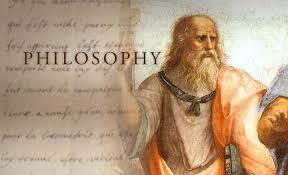 Philosophy is an open-ended, pioneering discipline, forever opening up new areas of study and new methods of inquiry. Here we will discuss the meaning of philosophy and try to define philosophy. The word “philosophy” comes from the Greek (philosophia), which literally means “love of wisdom” Etymologically, philosophy means love of wisdom but functionally it means both the seeking of wisdom (process) and the wisdom sought (product).Literal meaning therefore, philosophy means love of wisdom not “love of knowledge”. That is an important distinction. The pioneers of philosophy were interested in the kind of knowledge that enables human to live a good life and that kind of knowledge is what we call “wisdom”. Going by this literal meaning a philosopher is most of the time and at the most of the place is preoccupied with the search for truth and wisdom. He pays little attention to the conclusions he searches in cause of his search. His search is endless because the truth is infinite. He wants to keep himself always engaged in this pursuit of truth rather than its possession. What philosophy is?, this question, has baffled the philosophers and thinkers from ancient times. As we know that philosophy is an academic subject of study and it is progressive. 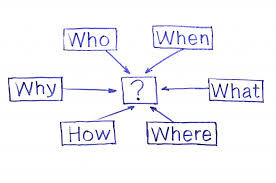 It is a way of being in the world- of questioning it, interacting with it, and responding to it. The subject-matter of philosophy change with the span of time but it is philosophical attitude which give human being a quality of thinking and reflecting which differentiate him from other creatures of the world. Instead of being treated as a single, unified subject, philosophy is typically broken down into a number of specialties and it is common for contemporary philosophers to be experts in one field but know little about another. After all, philosophy addresses complex issues from all facets of life – being an expert on all of philosophy would entail being an expert on all of the most fundamental questions which life has to offer. 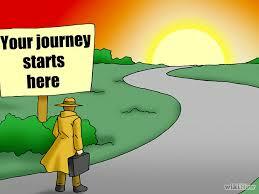 It is a most important thing that philosophy helps us to find wisdom for the shaping and living of our lives. After examining the nature of philosophy, we can see that there are three basic problems in philosophy, which engaged human beings to other problems. 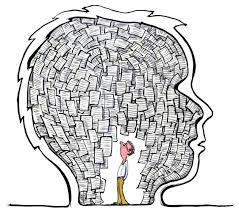 The Problem of Knowledge: It is mainly discusses within Epistemology. The Problem of Value: It is discusses within the Ethics and Axiology. Jointly this called as Value Theory. The Problem of Reality: This is the area of Metaphysics. Theism: Mind and matter are both real. Materialism: No, only Matter is real. Idealism: Matter is not real, only Mind is. It is basically views of the Eastern philosophies. Epistemology: The area of philosophy that investigates the nature sources, authority and limits of human knowledge is called “Epistemology”. Ethics or “moral philosophy”, is concerned primarily with the question of the best way to live, and secondarily, concerning the question of whether this question can be answered. There are even more areas of philosophy than these. It includes logic, social philosophy, philosophy of mind, political philosophy, philosophy of religion, philosophy of language etc. The problems and concepts discussed in these branches constitute an interconnected enterprise that goes by the name “Philosophy”. Certain problems are of wider importance which concern common people in general and intellectuals in particular. Philosophy is the study of general and fundamental problems, such as those connected with existence, knowledge, values, reason, mind, and language. Philosophy is the passionate pursuit of knowledge of the real and the good . The goal of philosophy as we know is the knowledge of the truth about the reality and the values. High motivation and a right attitude play an important role in the achievement of the goal of philosophy. We need to focus and carry out our ambitions good intentions. Especially we need some methods for carrying out the business of philosophy. Doubt: Notice doubts that one has about the meaning or justification of some common, everyday belief one has. Formulate a problem; Formulate the doubts in a philosophical problem, or question. Explain the problem very clearly and carefully. Offer a solution: Offer a solution to the problem: either something like a philosophical analysis or a philosophical explanation. Argument; Give an argument or several arguments supporting the solution. Dialectic :Present the solution and arguments for criticism by other philosophers, and help them judge their own. The above said methods are generally used in philosophical speculations. It is an important part to study philosophy. In our course we will study a few later. Philosophy inculcates in us the habit of thinking. Philosophy makes us more decisive. Philosophy determines the values for life. Philosophy has a use in other field of sciences too. Philosophy gives true freedom to man. Philosophy can guide the scientific civilization along the right path. Philosophy is an essential part of higher education and associated with Religion, Morality, Art & Aesthetics and Politics etc. Certain problems are wider importance which concern common people in general and intellectuals in particular. Social Equality, Self-Knowledge and Rationality are such issues which involve any self-conscious person and specialists in other disciplines like political science, sociology, social psychology etc. Philosophical understanding of these issues are different other disciplines as philosophy look into the most fundamental conditions and reasons, which constitute these problems. Human Society is the well-organized unity of individuals. All individuals live in a society because they can’t live in isolation. To live with others is the very nature of human beings and that is what makes them social animals. Every individual seeks protection from society and society gives in return. It is a fact that in human society, not every person gets equal status and respect due to economic, educational and political powers etc. A social problem arises when some individuals or a group is debarred from normal social respectability due to certain reasons for which the individual or the group is not directly responsible. 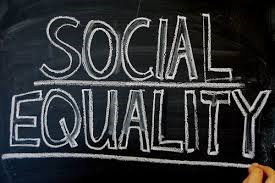 The problem of Social Inequality arises when society declares a group of people as low or despised due to the reason based on its tradition and conventions ignoring the fact that for what the members of that group is made unequal with other members is not within their control, and this injustice could be seen as injustice and immorality only when it is looked at from the stand point of universal equality of all mankind. Discrimination of a group of people on the ground of their caste is one of the monstrous instances of social inequality. In India where the Hindu society is divided on caste basis, people of Shudra case are deemed as lowly who are born to serve the other upper caste people and to lead a life of humiliation by them. There are textual proofs in support of the view that the Varna system of the division of people in various groups was a kind of division of labour and it was not tied to the birth of the person in a particular family. It is also argued that movement from one Varna to the other was permissible in early Vedic period. However, it is a cruel fact of the day that people are divided in Hindu society along caste lines and even now inter caste marriages are not liked even within the society. Inter caste movement is only a matter of mythology. Humiliating the so-called low caste people have been deemed as a matter of right for the upper caste people and the lower caste people are told to suffer all that as punishment of the evil karmas of past life due to which they were born in that caste. This is a clear example of social inequality which comes into being due to rigid caste system. Bhakti movement helped in alleviating the suffering of the lower caste people to some extent. In the post independent India discrimination on the basis of caste was declared as a serious offence by the constitution and several political measure were adopted for the well-being of the people of low caste (especially the Shudras) and to restore their social equality. The problem of social inequality turns out to be a socio-political matter. At the general level the problem of caste injustice is a case of social injustice that makes us aware of the need to question and evaluate every social law in the light of universal standard of morality which is applicable and obligatory for all human beings and for human communities. Philosophical reflection looks at this problem at a deeper level and enables us in understanding that it should be dealt with at two levels at the most general level as a problem of social injustice and at the specific level of reflection over the conscience of the socio-political measures adopted for its remedy . Without taking into consideration this essential moral aspect adopting any measure to solve the problem of social inequality of caste is itself an immoral act. Hence to adopt appropriate measure for solving this problem at the specific level also moral aspect has to be taken into consideration and that requires philosophical reflection. This is a different matter that ordinarily politicians and social scientist don’t give importance to that aspect but there is a scope of philosophical reflection and it is warranted too. Political and sociological reflections on the questions of social equality are needed to understand and solve these problems at the historical level. Philosophical reflection not only helps in considering the moral aspect of the problem but also discloses the pros and cons of the political and social measures in terms of their proximate and remote consequences and enables to evaluate many of the unquestioned political and sociological assumptions regarding the structure and relation of society with the group of individuals within it. First, philosophy pokes holes in propositions and arguments. It examines propositions to see if they are meaningless, vague, ambiguous, or false; it examines arguments to see whether they are valid or invalid, sound or unsound. More generally, philosophers test assertions and arguments to see how strong they really are. Appearances in this regard are often misleading – as most of us have learned through hard experience with advertisements, sales pitches, and promises. A second way in which philosophers criticize theories is by proposing alternatives to them. This function of philosophy is important because of the limitations of our individual experience and imagination. Sometimes we ascribe greater strength to a theory than it deserves because we know of no alternative. Why do philosophers poke holes in propositions and propose alternatives to whatever is claimed? Not because they are quarrelsome people, but in order to advance our pursuit of knowledge. Whether it is an adequate solution to the problem. If the latter, whether it is superior, inferior, or equal to the other solutions. Clearly, our problem solving effort will become more effective and satisfactory when asking these questions becomes second-nature to us. We might define philosophy in its critical role as an unflinching analysis of all beliefs, including the ones that are most precious to us. To study in details of this method, Thinking Philosophy by Richard E. Creel , is the best book. 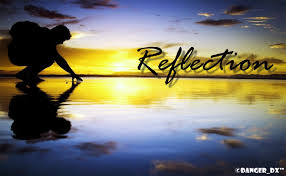 Reflection is an important human activity in which people recapture their experience, think about it, mull over & evaluate it. It is this working with experience that is important in learning. We learn through critical reflection by putting ourselves into the experience & exploring personal & theoretical knowledge to understand it & view it in different ways. According to John Locke, reflection is a form of experience. In this sense, it is purely internal. 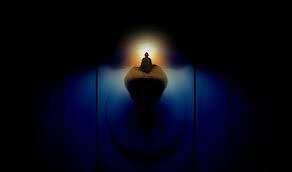 The ideas that are produced by reflection are the ideas such as love, hatred, pain, pleasure etc. Sometimes it is also interpreted as introspection. Philosophers used exposition, synthesis, description, speculation, prescription, criticism etc., to discuss various concepts of philosophy and from these methods of philosophy originated. One of the important methods is ‘Speculative Method.” Philosophers speculate. The inherent limitations of synthetic philosophy and descriptive philosophy points beyond themselves to speculative philosophy. Speculative philosophy “lets our all the stops”. It stops at neither the limits of scientific investigation nor those of ordinary experience. To do speculative philosophy is to ask whether there is anything more to reality rather than that which is revealed by science and ordinary experience. The objective of speculative philosophy is to comprehend the whole of reality by means of reason, so if reason requires that speculative philosophers go beyond the limits of science and ordinary experience in order to account for the whole of reality, then they do so. To determine whether there is or may be more to reality than is given in ordinary experience. To comprehend the whole of reality – analyzing it into its parts and then comprehending those parts in their dynamic relations to one another, even as the student of a combustion engine must know not only the assembled whole but also the individual parts, and not only the individual parts but how they function in relation to one another in order to constitute a running engine. We might say that “the whole and its parts” is the motto of the speculative philosopher. The speculative philosopher, in his or her desire to account for the whole of reality, investigates the extent to which reason does or does not require that we postulate the existence of things, such as God, matter, other minds, souls and dimensions of reality other than revealed by sensation and introspection,. Some of the great works in speculative philosophy are by Plato, Aristotle, Lucretius, Plotinus, Augustine, Spinoza, Berkeley, Hegel, Marx, and Whitehead. For more details study of speculative method and other things like “what philosophers do” may be studied in Thinking Philosophically by Richard E. Creel.